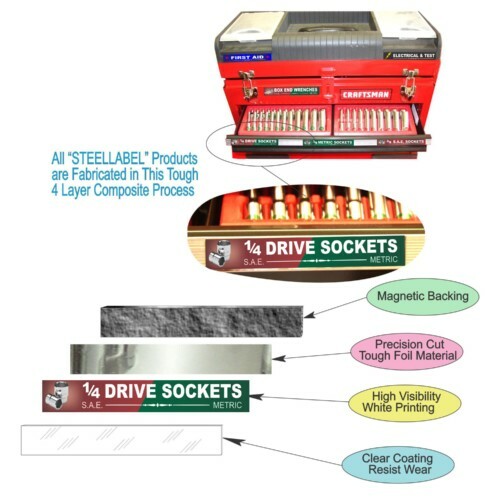 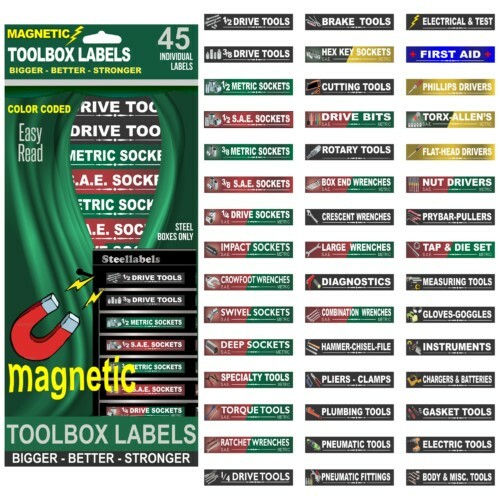 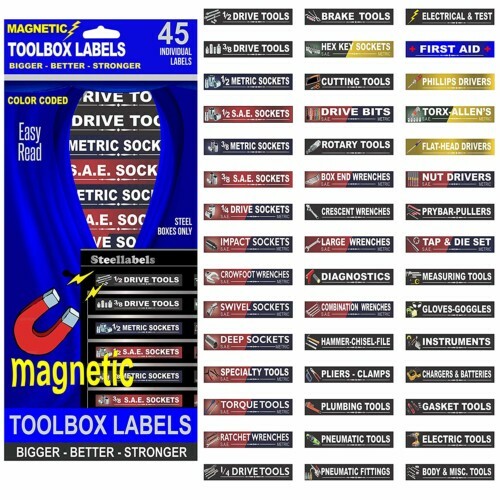 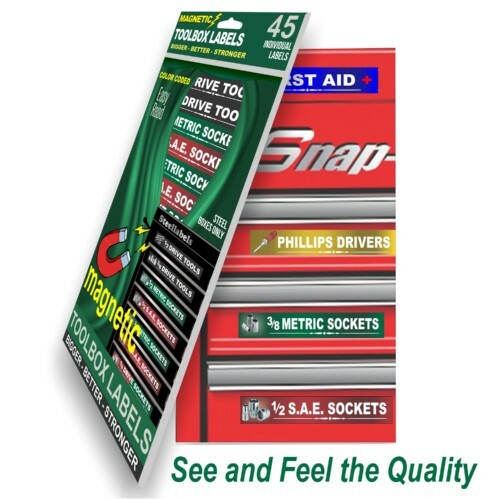 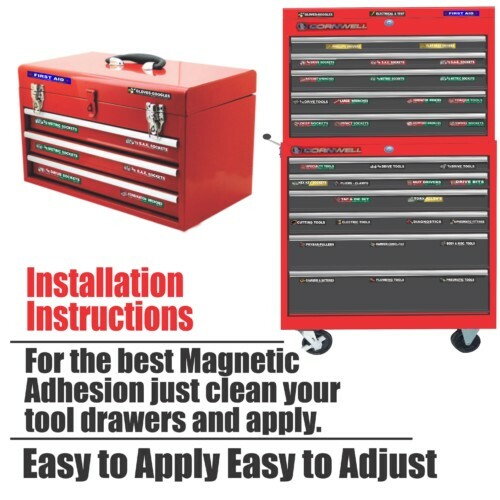 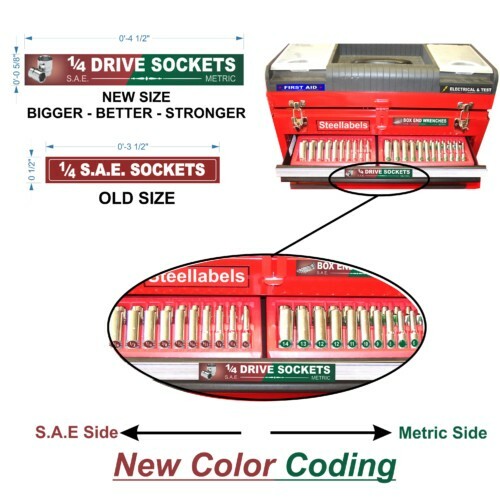 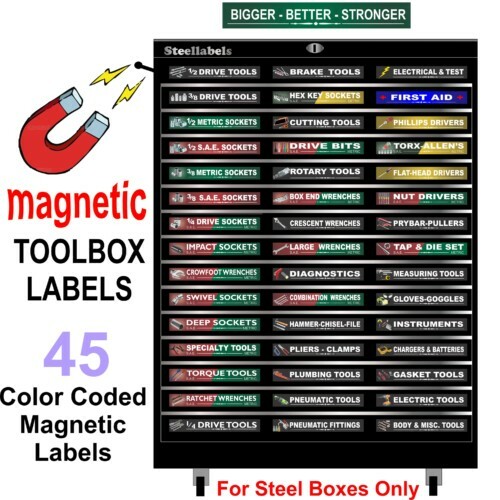 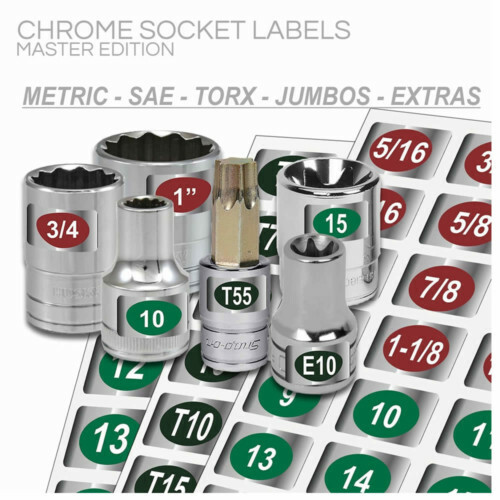 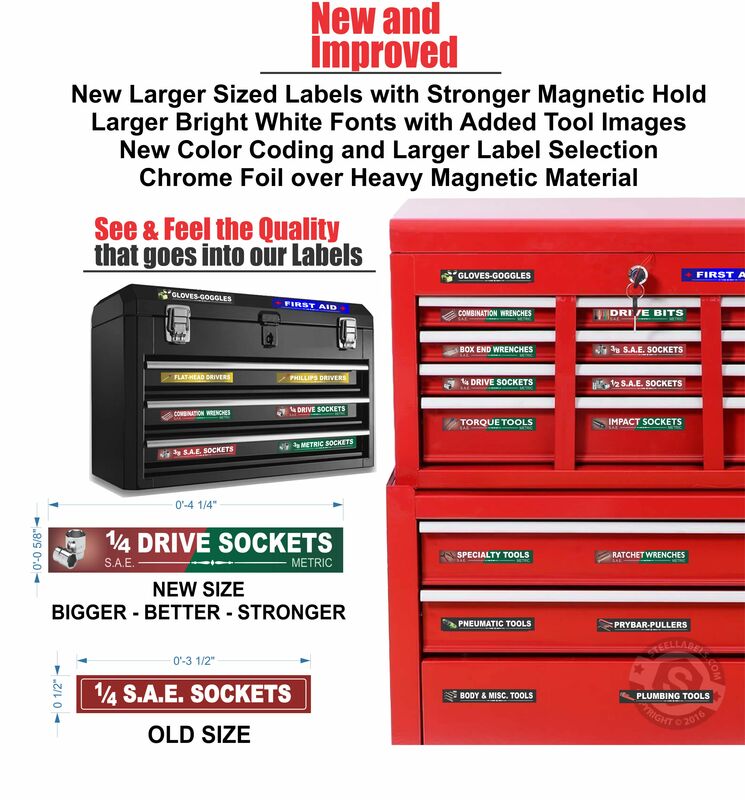 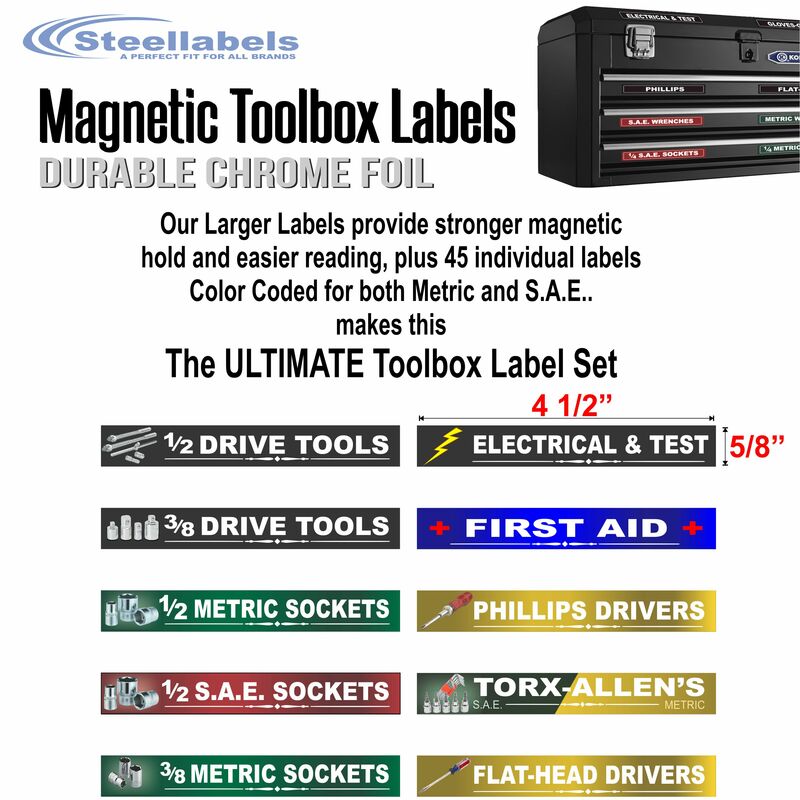 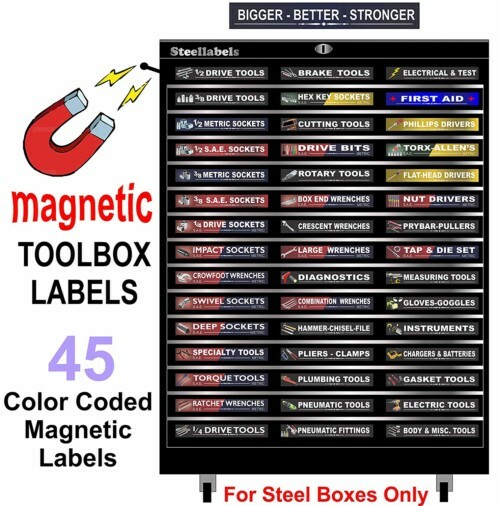 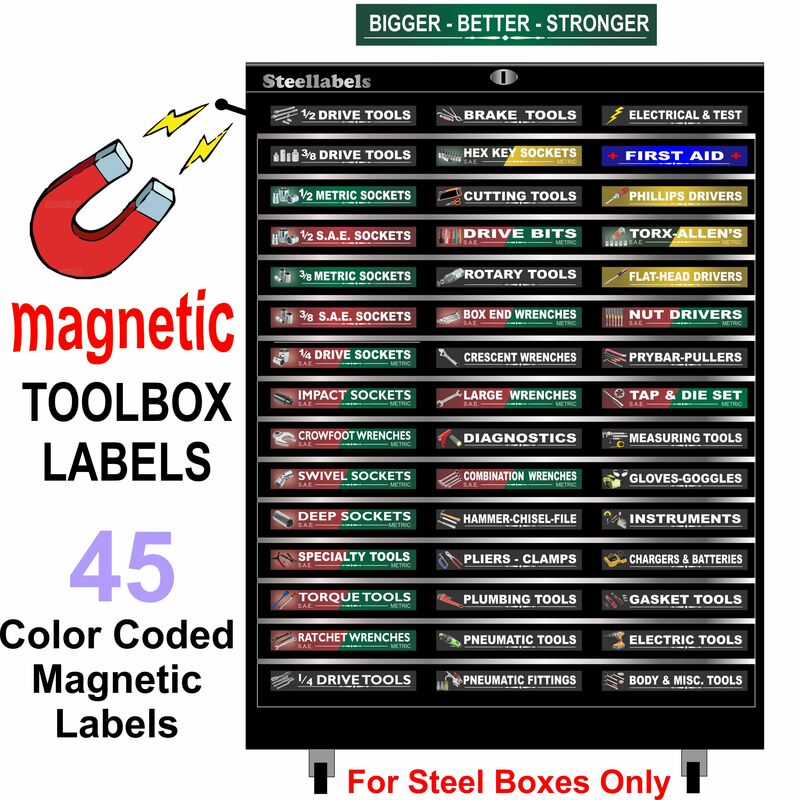 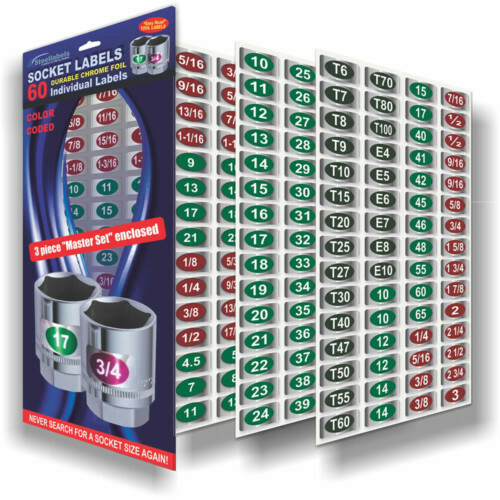 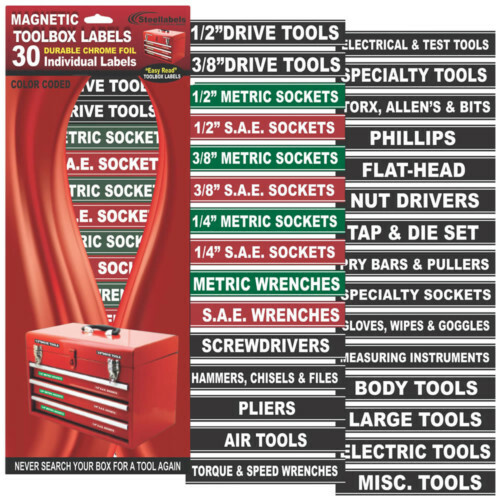 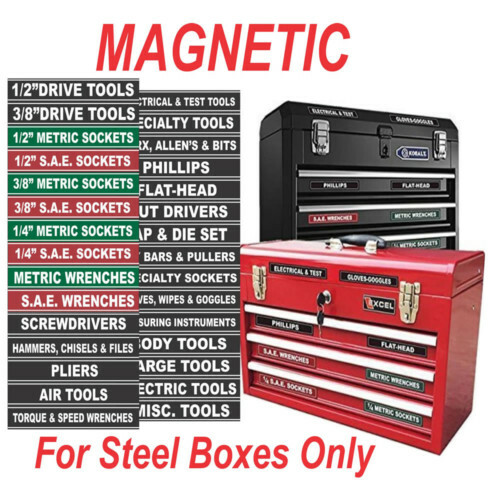 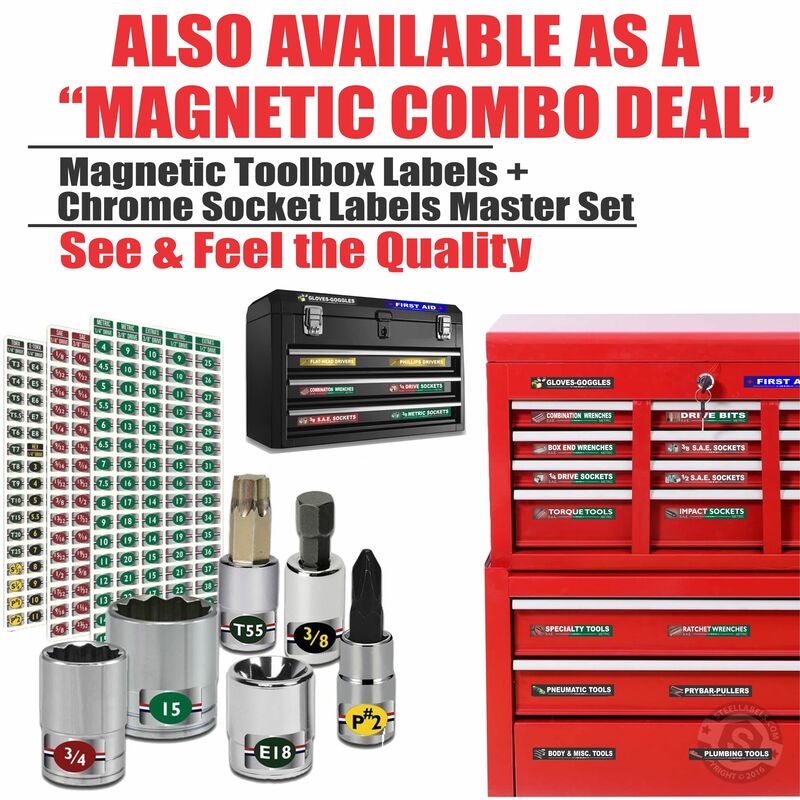 The Ultimate Magnetic Toolbox Label Set. 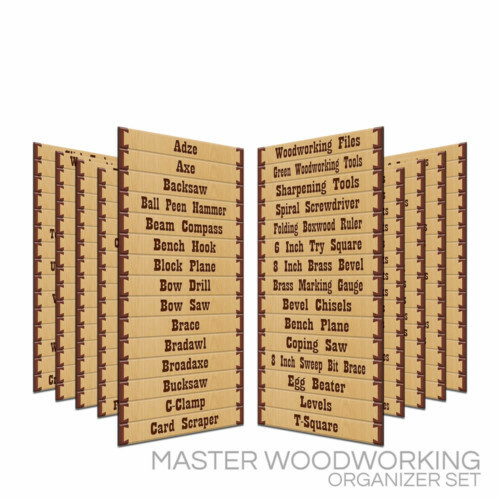 Label your Tool Chests, for “Easy Read” and quick Organizing. 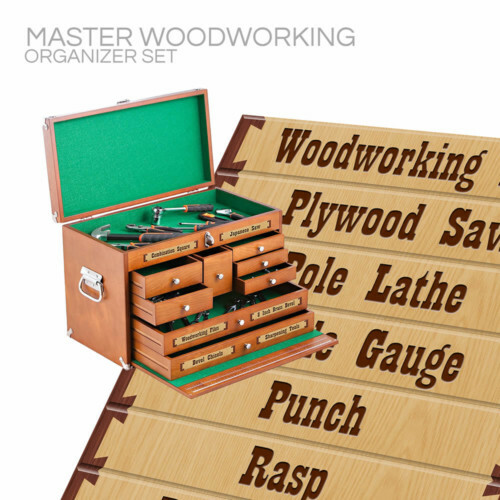 See how easy it will be to find and organize your tools. 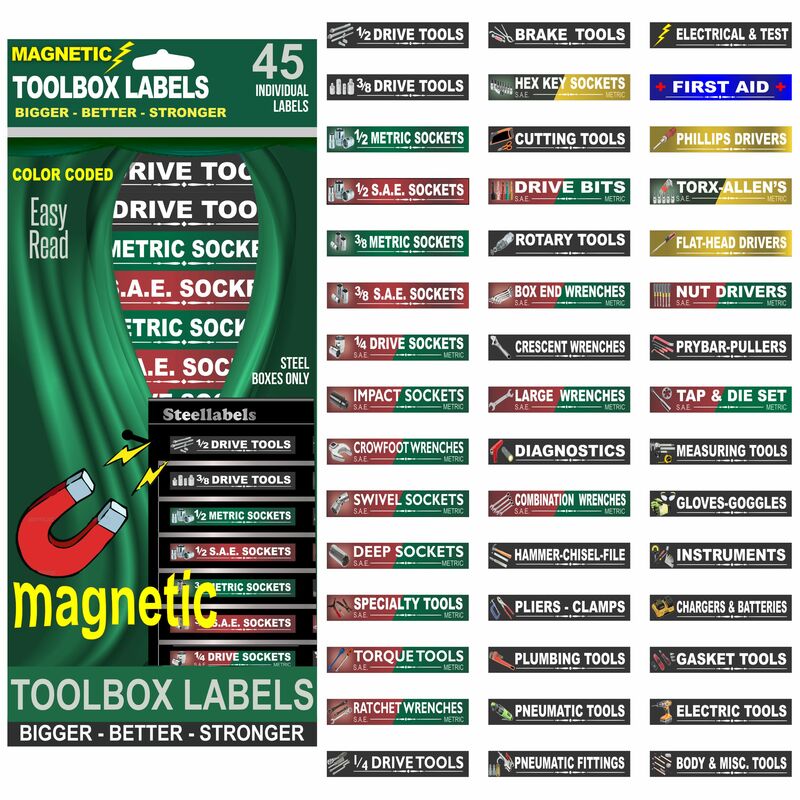 Look at the pic’s and “you be the Judge” will your tools be easier to organize and find? These make a great Gift.